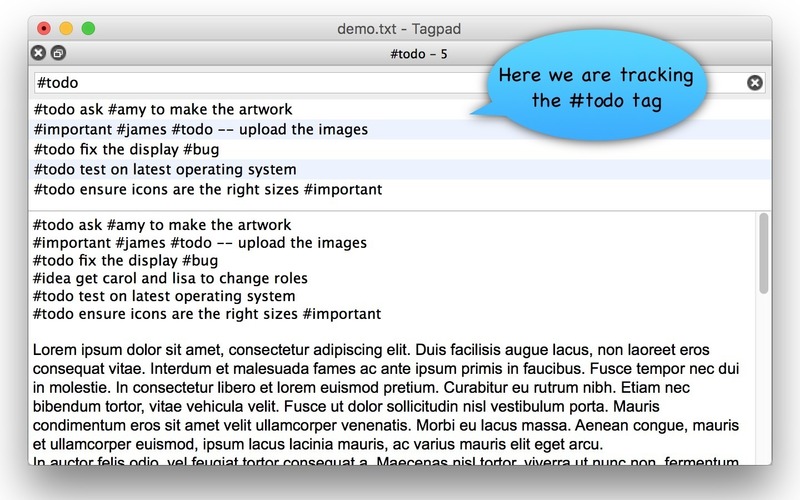 Add and track hashtags in plain-text docs. Is there a better alternative to Tagpad? 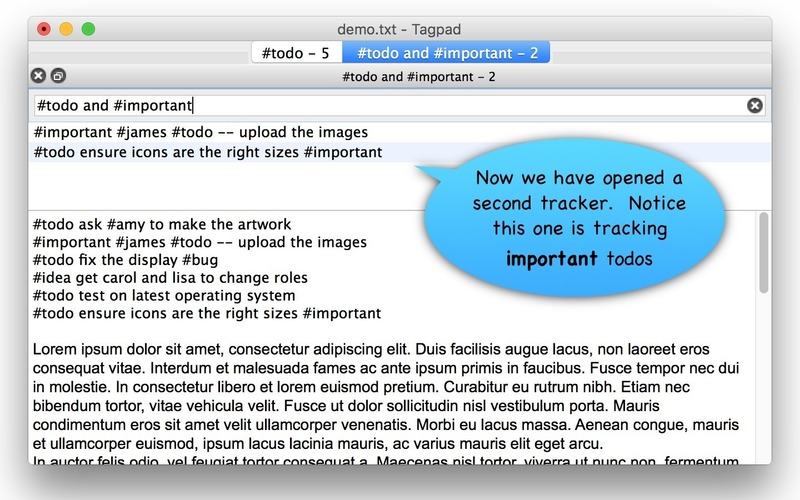 Is Tagpad really the best app in Productivity category? 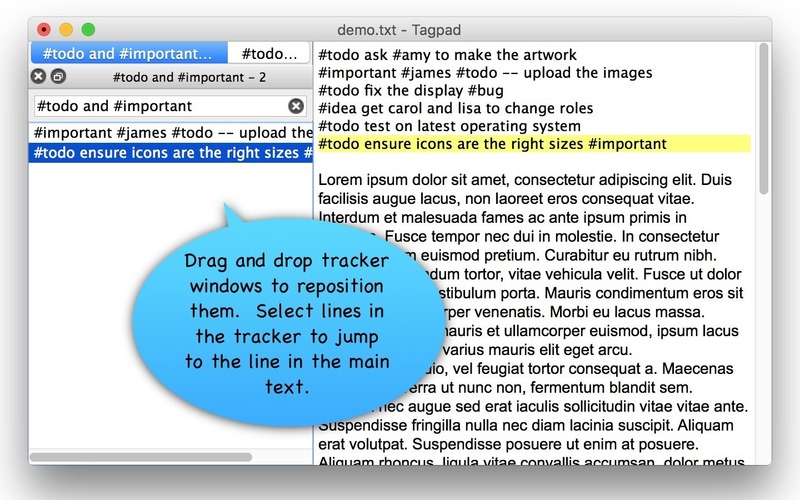 Will Tagpad work good on macOS 10.13.4? 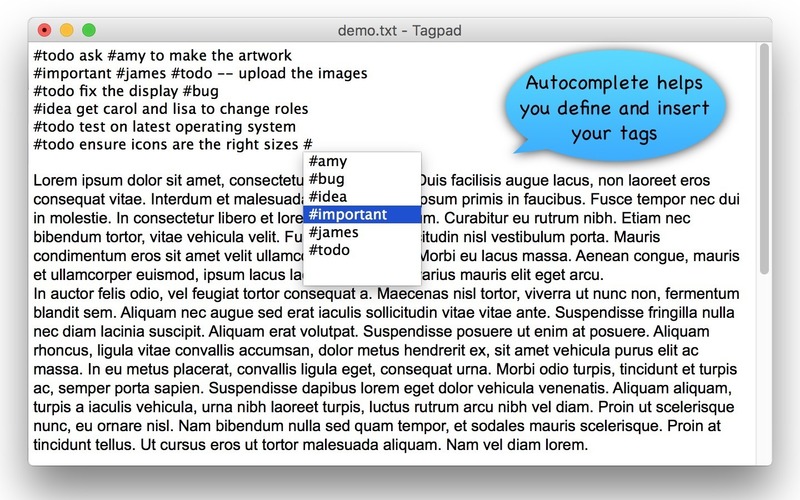 Tagpad lets you add -- and follow -- hashtags in your own notes. 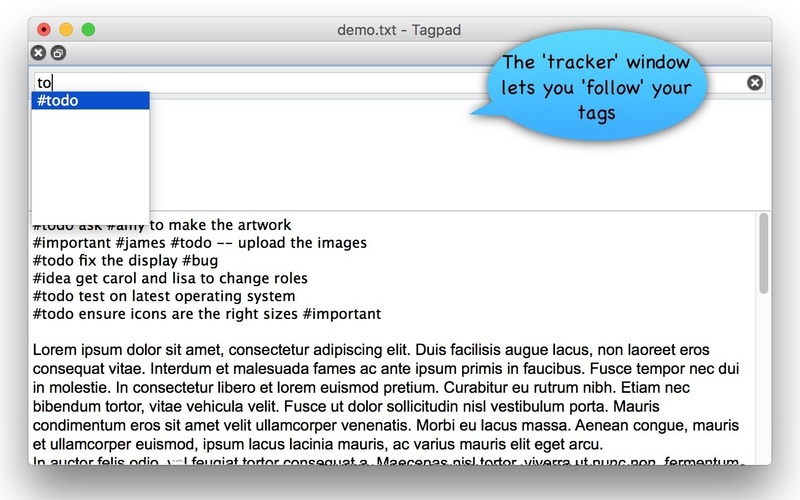 Working on any plain-text document, it features an auto-completer to ease the insertion of tags, and multiple ‘tracker’ windows which let you ‘follow’ your tags and quickly jump to them. For example, you can mark lines with tags such as #todo, #james, #suggestion, #idea, #bug, or #important; and then follow ‘#todo and #important’ for a filtered view of matching lines. Tagpad needs a review. Be the first to review this app and get the discussion started! Tagpad needs a rating. Be the first to rate this app and get the discussion started!